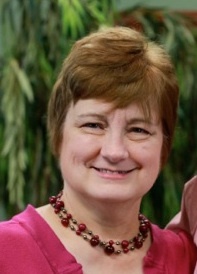 Viki Rife has been named director-elect of Women of Grace USA and will succeed Janet Minnix when Minnix retires from leadership in July 2014. Rife currently serves with the organization as Communications Coordinator and Director of Girls’ Ministries. The daughter of former Grace Brethren missionaries to Argentina, Bob and Joene Cover, Rife studied English and journalism at Grace College. She has worked with the SMM ministry for 22 years. She has also taught Spanish at Grace College and worked with publications for CE National. With her father, she coauthored a series of three books for children titled Heroes Who Live On, celebrating leaders in the Grace Brethren movement. Passionate about helping women strengthen their marriages, she is certified as a Prepare/Enrich marriage counselor. She and her husband John, a Christian mental health counselor, live in Warsaw, Ind., and are members of the Leesburg, Ind., Grace Brethren Church. They have three adult children and anticipate the arrival of their seventh grandchild this summer. Rife has served on the board of directors of Women of Grace USA since 2002. She will work alongside Minnix for the next year in preparation for the transfer of leadership.